It was 2005 when Sara Busbice met two kind-hearted businessmen that were concerned about the future of Thoroughbred racehorses once their days on the track were over. The duo, who were horseracing fans, did the administrative leg work to create a non-profit organization with the goal of giving Thoroughbreds an option for a second career. They asked Sara, a volunteer for the former Communication Alliance to Network Thoroughbred Ex-Racehorses (CANTER) Indiana affiliate at the time, to take the reins of the newly formed organization, Friends of Ferdinand Inc. (FFI). The all volunteer FFI offers two distinct services. First, the organization admits Thoroughbreds to its program for rehabilitation, retraining and adoption; usually maintaining about 12 horses in the program at any given time. Secondly, the organization offers an online listing service of Thoroughbreds located at Indiana Grand racetracks whose race careers are coming to a close. The main focus of the program though is the rehabilitation, retraining and adoption program. Thoroughbreds accepted into the FFI program are transported directly to one of two vet clinics primarily utilized by FFI. The horse spends two-five days at the clinic and, according to Busbice, is subject to a complete health and wellness exam, evaluated for soundness and is brought up to date on all vaccinations and dental work. Busbice notes that allowing the horses to temporarily reside at the vet clinic allows the vets to work around their own schedule which results in significantly discounted services for FFI. It also allows the vet enough time to gather all information needed to provide a comprehensive rehabilitation strategy for the horse. 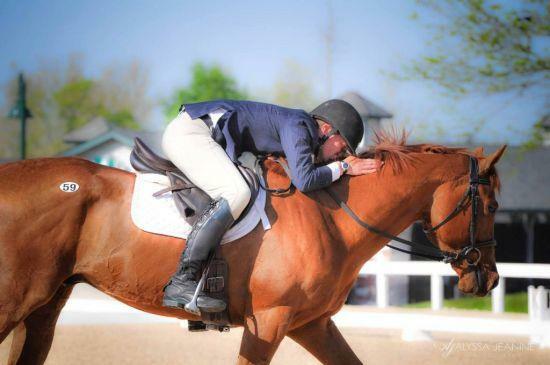 Once a horse has been fully evaluated they often receive some time off before entering a training program at Greenstone Stable in Dayton, Ohio. The horses are evaluated under saddle and their strengths and weaknesses are assessed. All horses in the program have a minimum of 60 days of semi-professional retraining and often gain additional experience in the show ring or on the hunt course before being offered for adoption. “We are looking for the right adopter, they must ride the horse and be secure with horse,” said Busbice who credits program trainer Lori Miller with having an outstanding ability to match horse and rider. FFI also requires all potential adopters to commit to a 30-day trial of the potential adoptee. “It is a non-negotiable thing,” says Busbice. “We have had adopters who wanted to sign the adoption contract before the 30-day trial but we don’t allow it.” This requirement is seemingly successful because in the last four years only one horse has been returned after the trial period. Largely driven to continue by the success stories Busbice sees as a result of the FFI program – like the 75-year-old woman that is in the process of adopting a Thoroughbred to aid her mobility due to a hip injury or the adopters that fall in love with their Thoroughbred and then return to the organization as volunteers – TCA is proud to support Friends of Ferdinand in their efforts.